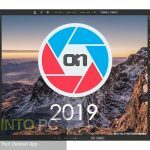 Serif Affinity Photo 1.6.2.97 Free Download Latest Version for Windows. 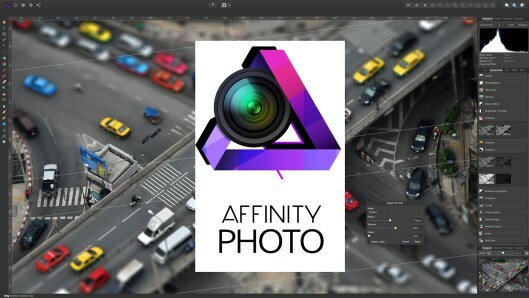 It is full offline installer standalone setup of Serif Affinity Photo 1.6.2.97 for 64. Serif Affinity Photo 1.6.2.97 is a handy application which can be used for enhancing the quality of your photos. With this application you can edit and retouch your projects efficiently. Photography is a very tedious job when it comes to editing your photos and are not equipped with right tools but if you are equipped with the tools like Serif Affinity Photo 1.6.2.97 then the editing process becomes very simple. You can also download older version of Serif Affinity Photo. 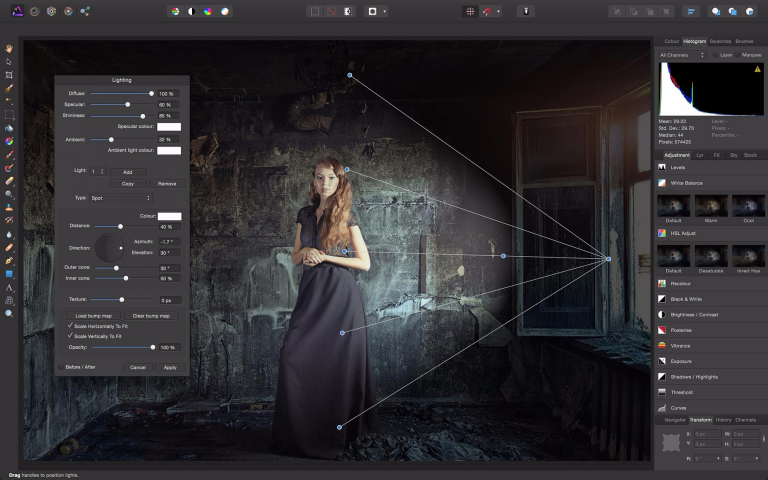 Serif Affinity Photo 1.6.2.97 is equipped with many classic photo manipulation tools which includes a brush, eraser, blur tool, healing tool, pen, magnifying glass, paint bucket and text boxes. It has got various filters which can be found in Filters menu. The filters are organized in various different categories in order to access them easily. 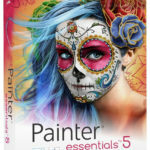 The categories included are Sharpen, Distort, Noise, Detect, Colors and Blur to name a few. 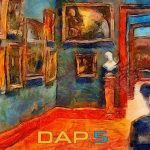 Apart from the categories there are many standalone entries which include Apply Image, Lighting, Haze Removal, Plugins and Frequency Separation. 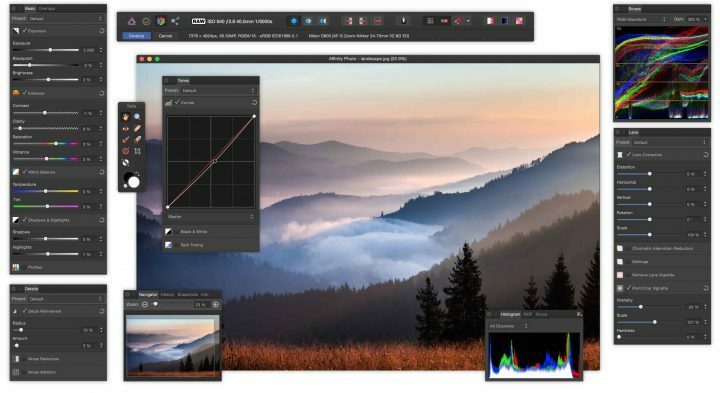 All in all Serif Affinity Photo 1.6.2.97 is an impressive application which will allow you to edit, retouch and manipulate the photos. You can also download Photo Effect Studio Pro. Below are some noticeable features which you’ll experience after Serif Affinity Photo 1.6.2.97 free download. 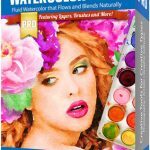 Handy application which is used for enhancing the quality of your photos. Can edit and retouch your projects efficiently. Equipped with some classic photo manipulation tools which includes brush, blur tool, healing tool and magnifying glass to name a few. Got various filters which can be found in Filters menu. Includes various different categories and some standalone entries. Before you start Serif Affinity Photo 1.6.2.97 free download, make sure your PC meets minimum system requirements. 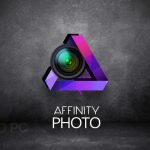 Click on below button to start Serif Affinity Photo 1.6.2.97 Free Download. 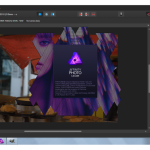 This is complete offline installer and standalone setup for Serif Affinity Photo 1.6.2.97. This would be compatible with 64 bit windows.